Mustard Plaster: Is it a Solution to Your Arthritis Back Pain? The problem of arthritis back pain is very common. There are millions of people suffering from arthritis back pain. According to the estimation of experts, around 80% of the population in the United States will experience some sort of back pain at least once in their lifetime. 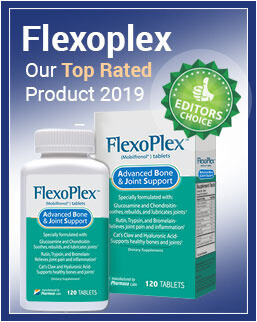 Furthermore, around 22.7% of the Americans are diagnosed with some form of arthritis, and the number is expected to grow further, according to the statistics. There are many solutions for overcoming your arthritis back pain, and one of them is a mustard plaster. A mustard plaster is a poultice that is made up of mustard seeds, which is kept inside a protective dressing. It is applied to the painful areas for stimulating healing. The mustard plaster can be used for warming muscle tissues and reducing chronic aches and pains. The nutritional value of mustard seed is what makes it one of the healthiest foods. Here are some of the important nutrients found in the mustard seed. 1. Phytonutrient compounds: The mustard seed is rich in phytonutrients like glucosinolates, and it also contains myrosinase enzymes that convert glucosinolates into another phytonutrient known as isothiocyanates. This nutrient has anti-cancer effects that help in limiting the growth of cancerous cells. 2. Selenium and Magnesium: Selenium and Magnesium are two important nutrients that are required by our body. The intake of an optimum level of selenium can help in reducing the severity of asthma, decreasing the symptoms of rheumatoid arthritis, and it also helps to prevent cancer. On the other hand, the intake of magnesium can reduce your blood pressure, decrease the severity of asthma, restore normal sleep patterns in women that are struggling from the adverse impacts of menopause, reduce the chance of heart attack, and more. 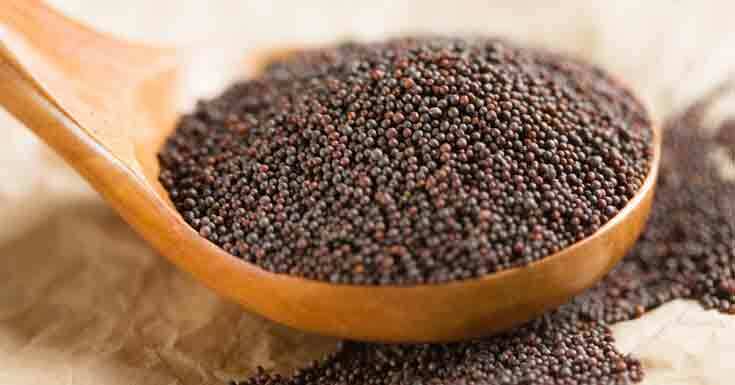 Some other important nutrients found in the mustard seed are omega-3 fatty acids, vitamin B1, phosphorus, and copper. There are many reasons why you should consider using mustard plaster for your back pain. It’s a natural way to reduce your pain, and it’s also an inexpensive and effective method to overcome your back pain. Pouring hot dog mustard to your back is not recommended to reduce your back pain, but using a mustard plaster is recommended for a back pain relief. Mustard plaster consists of white/brown mustard seeds, water/vinegar, and flour. The poultice will not only provide you relief from your arthritis back pain, but it will also reduce your pain in the joints affected by arthritis. The solution of mustard plaster is for muscle pain associated with arthritis as well. 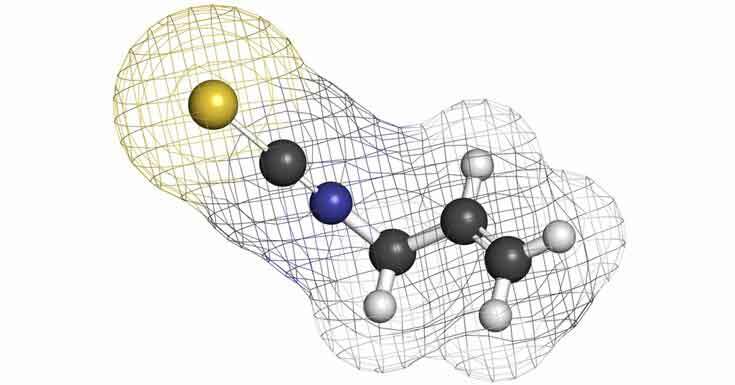 Allyl isthiocyanate is an active ingredient found in the mustard plaster that is responsible for arthritis back pain relief along with other forms of arthritic joint pain. Allyn isthiocyanate, which is the organosulfur compound, is a counterirritant. When mustard plaster is applied to an inflamed area, it makes blood vessels to dilate, which will enhance the blood flow to an affected area for the removal of toxins in that particular area. Furthermore, an increased blood flow in an affected area can help in better absorption of pain relief, whether it is pharmaceutical or herbal. Mustard poultices have a history of being known as an effective pain reliever because of the pain relief properties found in the mustard, and these pain relief qualities are often desired by patients looking for the solution for their arthritis back pain, knee pain, or other types of pain. There were many things published and discussed regarding the use of mustard plaster over a century. If you have made up your mind to use mustard plaster for reducing your arthritis back pain, then there are some things you need to consider. If mustard seed is used incorrectly, then there could be some side effects. The direct use of mustard seed to your skin can lead to blistering. This means it will not decrease your pain, but rather it will have a further negative impact on your skin. To avoid this negative impact on your skin, the poultice is intended. How To Effectively Apply Mustard Plaster To Your Skin? In order to get an effective outcome from the mustard plaster, you need to be informed about proper mixing and applications. The first thing you need to remember is that you need to activate the counterirritant properties found in the mustard seed. To activate the counterirritant properties, you need to mix the mustard seed with a liquid. The next thing you need to remember is that you need to prevent blistering and burning while applying mustard seed to your skin. To avoid the blister and burning, you should mix mustard powder or ground mustard seeds with flour. It will help in neutralizing the burn. Mixing pure egg whites in the place of water can be a good option as well. It’s believed that using pure egg whites can prevent burns while using mustard seeds to reduce your arthritis back pain. Here is a simple process of making a mustard plaster. 1. Bring together flour, mustard seed, and eggs for the formation of a paste. 2. Bring the light cloth, such as muslin and spread the paste between two layers of it. 3. Apply the muslin patch to the painful area for around 15 minutes or so. 4. Remove the muslin patch after some minutes and wash the skin with a cold water to avoid the burn. There are many medications available to overcome your back pain. However, it’s recommended to search for the natural ways to overcome your back pain as far as applicable. A mustard seed is an awesome way to reduce your arthritis back pain naturally. It’s because it’s easy to apply, and there are lower chances of side effects if you learn proper mixing and application. In addition to applying mustard seed, there are many other methods to improve your condition. Some of the popular ways to overcome your pain are light exercises, massage, physiotherapy, and so on. If you’re suffering from an unbearable pain, then it’s recommended for you to contact a doctor. Rather than using mustard plaster you might go with some joint pain supplement such as MegaRed Advanced 4-in-1 Review.